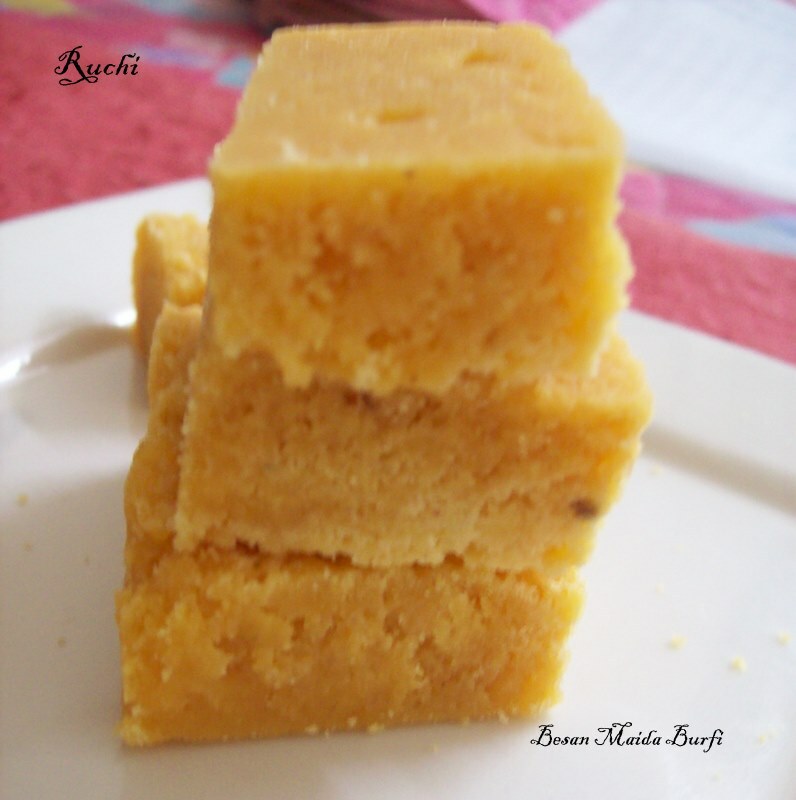 Delicious and easy to make this burfi. Just I tried made with maida with a mixture of besan and the taste was awesome ! 1.In a kadai, heat the ghee.Mix the besan and maida & add to the ghee. 2.Roast on a low flame till the colour changes & a roasted aroma comes. Remove from flame. 3.Add enough water to sugar in a saucepan, to immerse just completely. 4.Heat on a medium flame stirring continuously till it dissolves. 5.Boil till it is past one-string consistency – if you drop a tsp in cold water you should be able to roll it into a soft but firm ball. 6.Remove immediately & add the fried mixture along with. Cardamom powder .Stir well for a few mts – it will start solidifying Transfer to a greased plate, & cut into pieces. 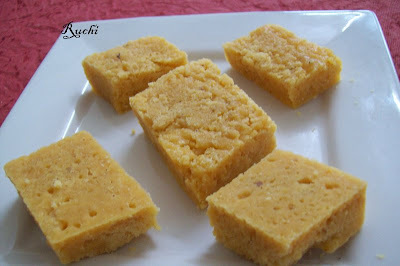 Akka, burfi looks super delicious,prefect for diwali, will try soon..